It'll cost the same as the equivalent 8GB RAM / 128GB Storage model when it arrives next week. Earlier this year, the OnePlus 6 was described as a "big step closer to the perfect smartphone," even if it was missing wireless charging and a microSD slot. Perhaps the company can make up for those missing features by offering the handset in an even nicer finish than the one before. Say hello to the OnePlus 6 Red. As the name implies, the OnePlus 6 Red is the same handset that came out earlier this year, albeit with a new finish. CEO Pete Lau announced the device on the OnePlus forum, saying that the style exudes "enthusiasm and personality" as well as "inner confidence and courage." Lau also said that the handset required the use of a new film coating process that has never been used on a smartphone before. But, he added, this process has created a more durable and "elegant" red sheen that's expected to last "for years to come." OnePlus' strategy is to make handsets as cheaply as possible and rarely produces external variations of its hardware. 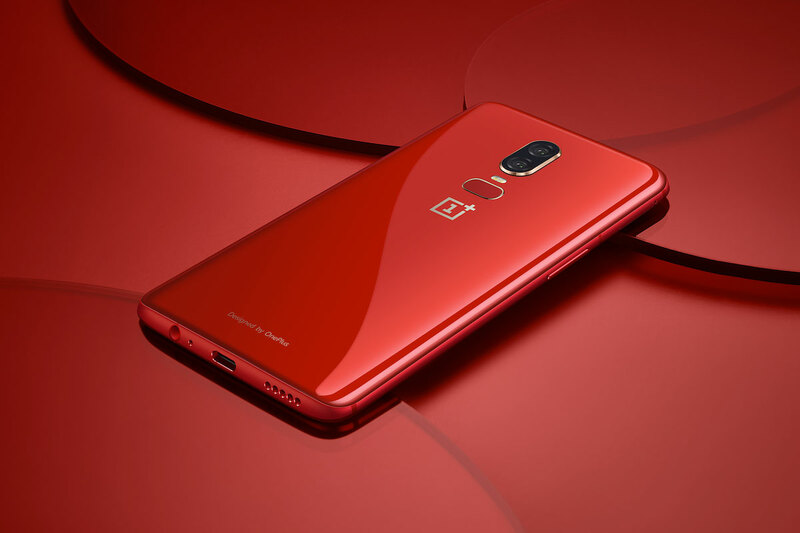 It's clear that the limited edition OnePlus 5T in Lava Red, which quickly sold out, told the company that there is pent-up demand for devices like this. The OnePlus 6 Red is launching across the world next week, packing 8GB RAM and 128GB storage, priced the same as the equivalent black model: $579 / £519 / €569. There's no indication that the handset is a limited edition, but given the tendency for the company's phones to sell out on a regular basis, we'd say get a move on.